The U.S. women's national team goalkeeper called Sweden "cowards" for assuming defensive tactics in an Olympic quarterfinal upset of the Americans. U.S. Soccer has terminated goalkeeper Hope Solo's national team contract and banned her for six months after her controversial comments at the Olympics, the federation announced Wednesday. U.S. women’s coach Jill Ellis and U.S. Soccer general secretary Dan Flynn met with Solo, 35, in Seattle on Wednesday afternoon and gave her the news, which comes with three months of severance pay. She'll be eligible for reinstatement and a new contract on February. The move follows Solo’s comments at the Olympics when she called the Swedish players “cowards” for their defensive style in eliminating the U.S. in the quarterfinals. Solo, who received public criticism from teammate Megan Rapinoe and U.S. Soccer president Sunil Gulati for her comments, did not apologize for them. Solo, the most dominant goalkeeper in women’s soccer history, has won one World Cup title and two Olympic gold medals in a U.S. career that has included 202 national team appearances and 102 clean sheets. Both are the most ever internationally for a goalkeeper, male or female. Solo has been involved in controversy as well. At the 2007 World Cup, U.S. coach Greg Ryan benched her for the semifinal against Brazil after she had started every game. Solo lashed out publicly after the U.S.’s 4-0 loss and was shunned by her teammates, but ultimately Ryan lost his job and Solo was welcomed back to the U.S. team under coach Pia Sundhage and won a gold medal in 2008. As coincidence would have it, Solo’s controversial remarks at this Olympics were about Sundhage’s Sweden team. After Solo’s standout performance at the 2011 World Cup, where the U.S. finished second, she became a breakout personality and ended up on Dancing With The Stars. But in 2014 she was accused of a fourth-degree domestic violence offense in an incident involving her nephew and half-sister. That case has yet to be resolved. In early 2015, Solo was suspended for 30 days by U.S. Soccer after she and her husband, Jerramy Stevens, were stopped in a U.S. team van that Stevens was driving in Los Angeles. 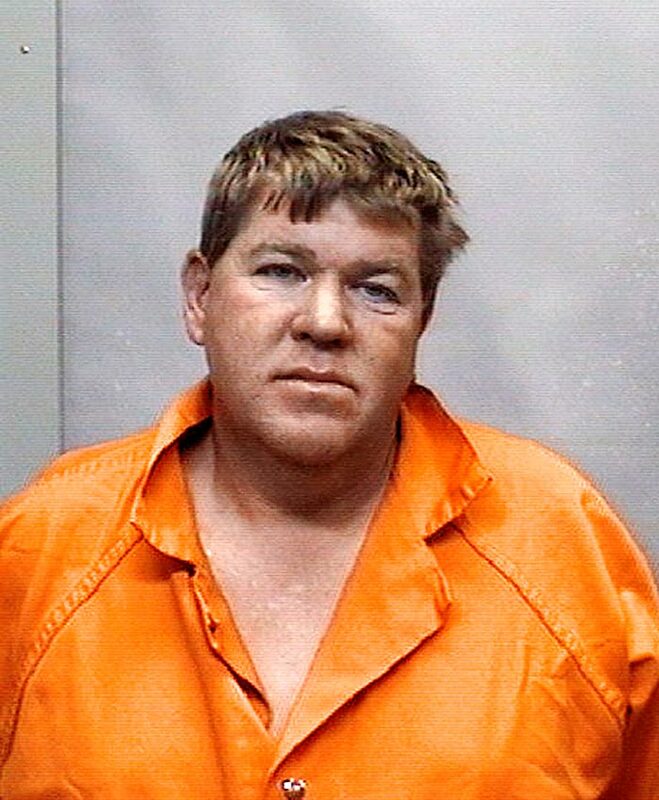 He was charged with DUI and served three days in jail. 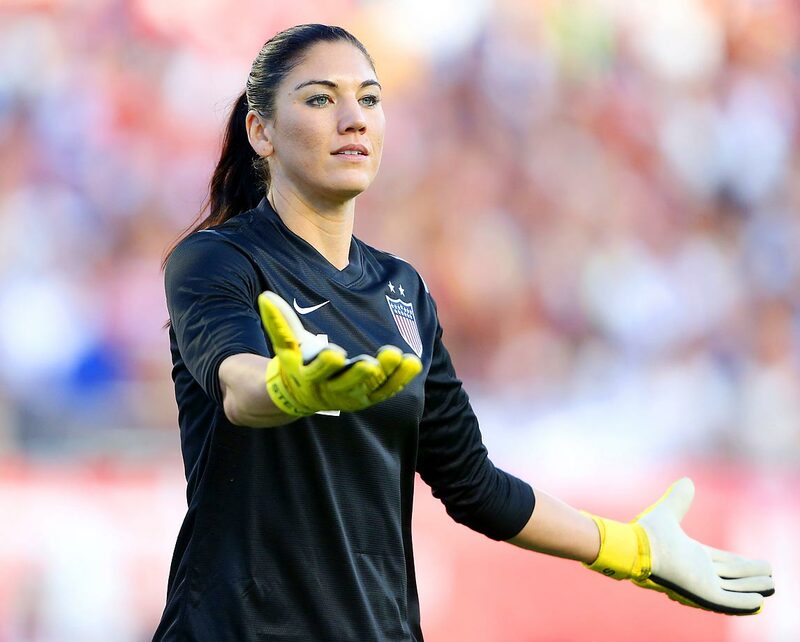 CAPTION: Hope Solo, the goalie of the USWNT, was suspended for six months in late August 2016, following her comments at the Summer Olympics when she called the Swedish players “cowards” for their defensive style in eliminating the U.S. in the quarterfinals. 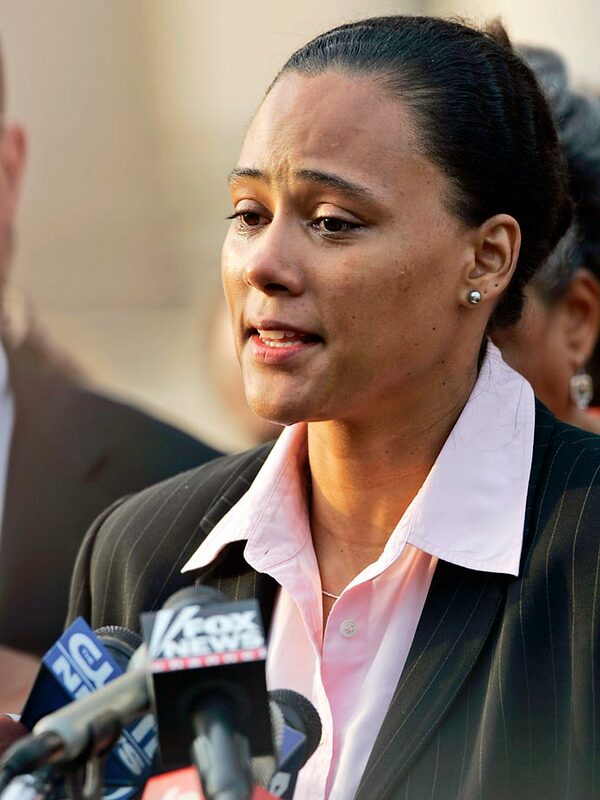 She joins a long list of high-profile athletes who were suspended during their careers. Golden State power forward Draymond Green (right) was suspended for Game 5 of the 2016 NBA Finals after he appeared to have hit LeBron James in the groin area in Game 4. Rougned Odor (right) of the Texas Rangers received a seven-game suspension and Jose Bautista a one-game ban on the heels of their May 15, 2016, fight in Arlington, Texas. 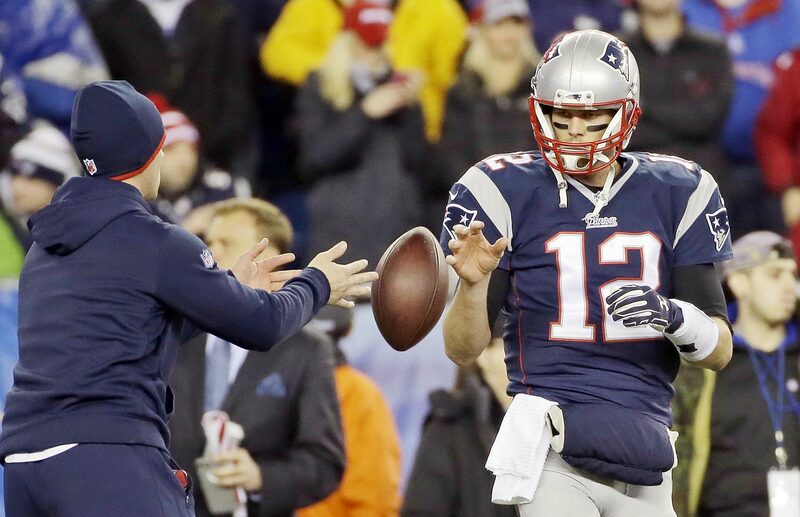 A United States appeals court reinstated Tom Brady's four-game suspension on April 25, 2016, which the NFL originally handed down for his alleged role in a scheme to deflate footballs before the AFC Championship Game on Jan. 18, 2015. 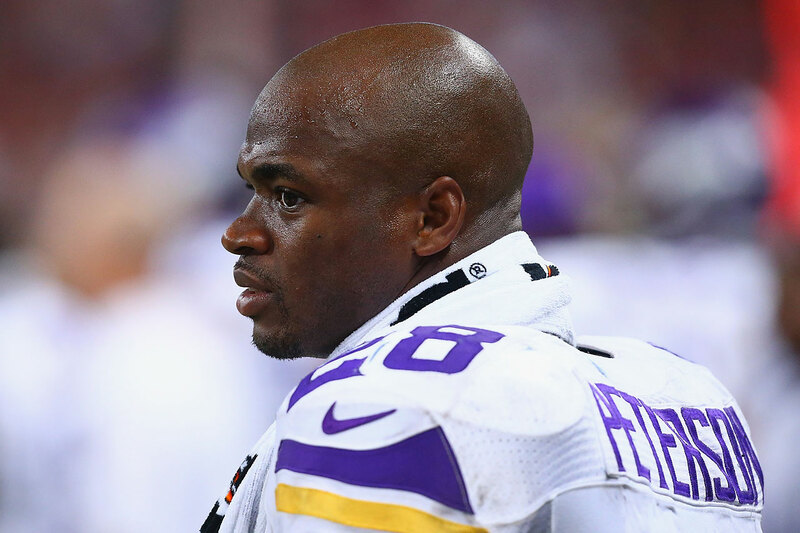 The Minnesota Vikings running back was suspended for the final 15 games of the 2014 season after it was learned he had disciplined his 4-year-old son by hitting him with a wooden switch. The Penguins captain was handed a one-game ban by the NHL for declining to participate in the 2015 All-Star Weekend festivities in Columbus. 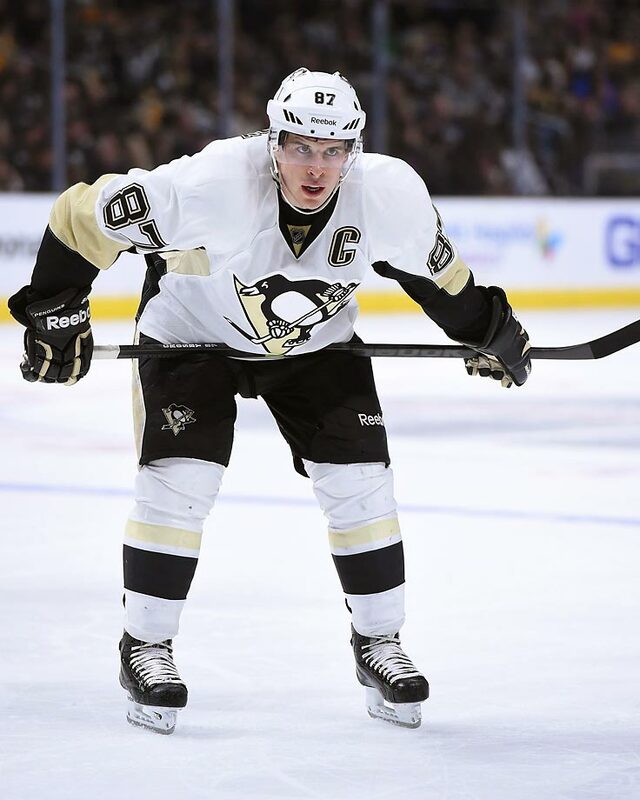 Crosby claimed to have a lower-body injury. The league, which requires all high-profile hands to be on deck for such events, did not believe him. 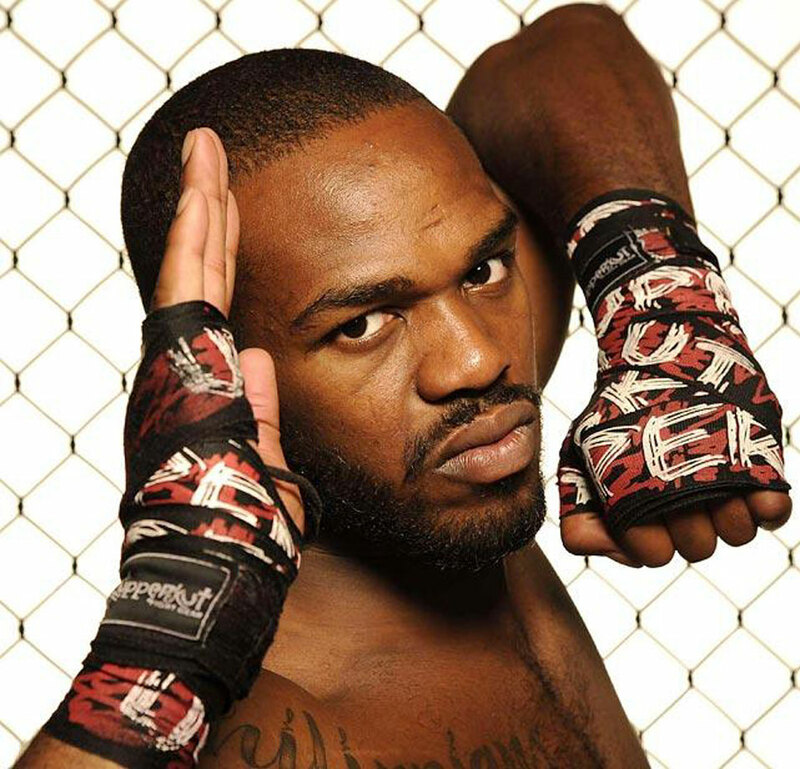 The UFC suspended its light heavyweight champion indefinitely in the wake of his arrest for a hit-and-run accident in April 2015. Roughly an hour before the suspension was reported, Jones tweeted his remorse for his actions recently, saying he was "sorry to have let everyone down." NASCAR suspended the driver indefinitely for conduct detrimental to stock car racing when a judge ruled he probably choked and beat a former girlfriend in fall 2014. It was Busch’s third career suspension. 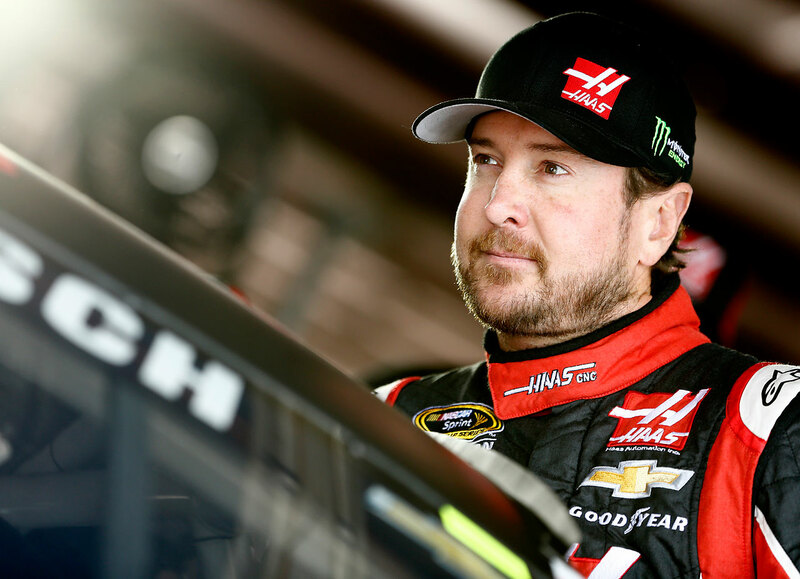 He was banned the final two races of 2005 after being pulled over by police in Arizona and in 2012 he sat out a race after threatening a reporter. The most decorated Olympian in history picked up a six-month suspension from USA Swimming in October 2014 after being arrested for driving under the influence in Baltimore. 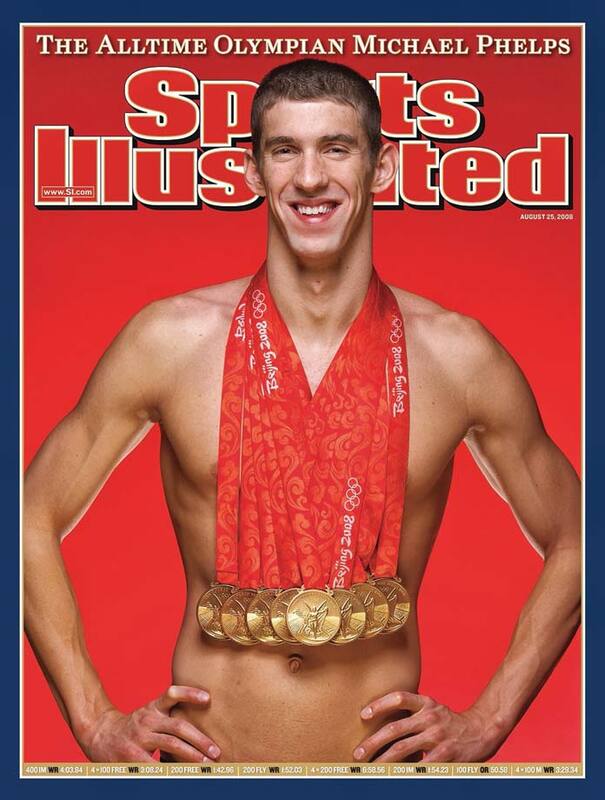 Phelps is back swimming this summer, hoping to earn another Olympics berth in 2016. 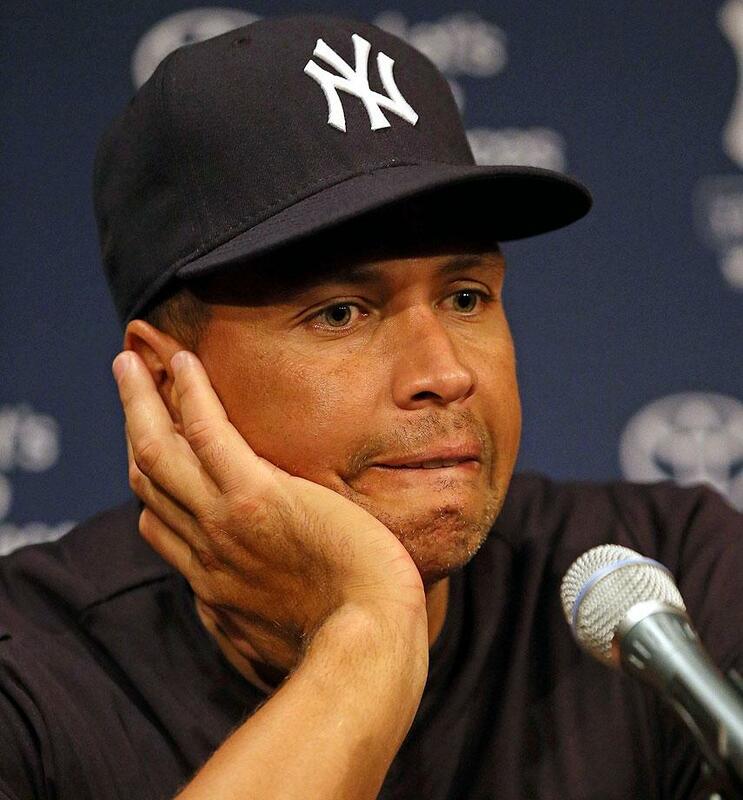 A-Rod missed the entire 2014 season following his suspension for using banned drugs “over the course of multiple years” and attempting to cover up his use. Maria Sharapova was provisionally suspended for testing positive for meldonium doping. She could face a ban as long as four years. A hit on Pittsburgh’s Zbynek Michalek that the NHL deemed “reckless” resulted in a three-game suspension for the Capitals superstar in January 2012. 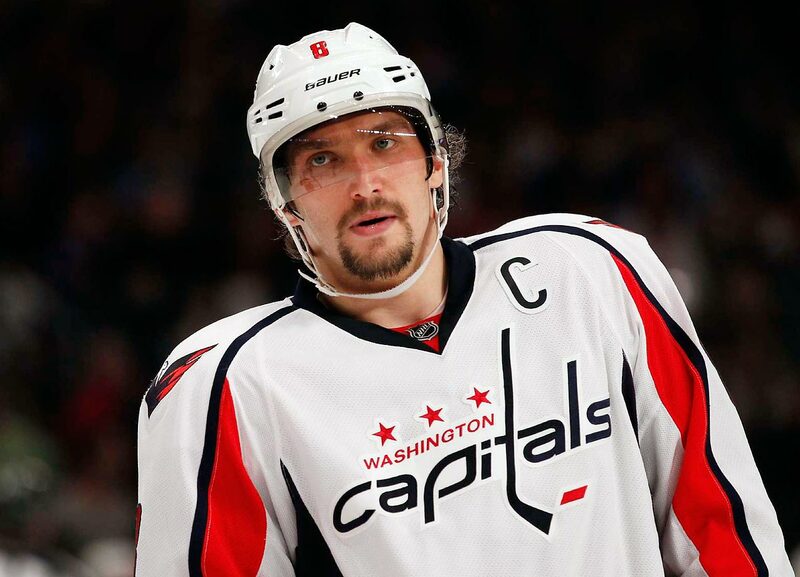 The ban was Ovechkin’s third in the span of three seasons for delivering dangerous, illegal blows. 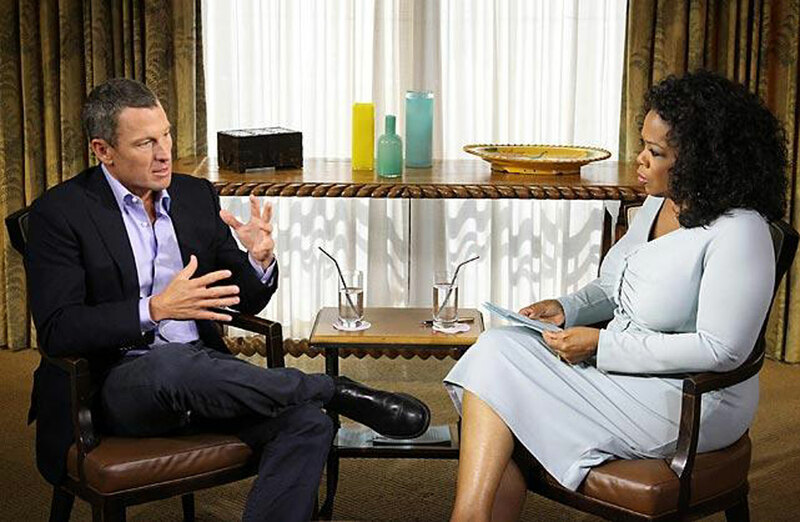 The seven-time Tour de France champion received a lifetime suspension after the U.S. Anti-Doping Agency and World Anti-Doping Agency ruled he had used banned drugs throughout his career, often ordered teammates to do the same and had covered up all the illegal activity. He was stripped of his seven French titles. 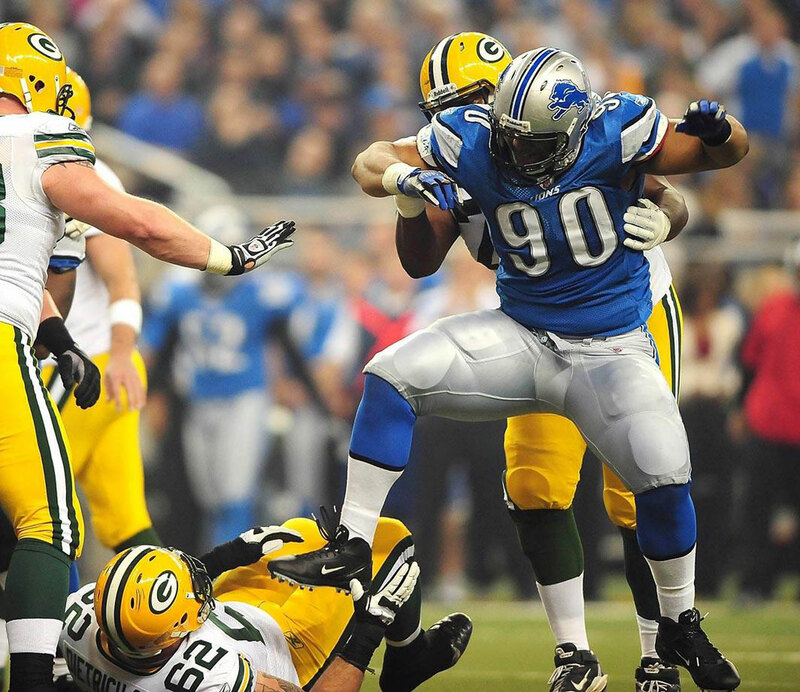 One suspension was not enough for the onetime Detroit Lions defensive lineman. He was suspended two games in 2011 for stomping on Green Bay Packers offensive lineman Evan Dietrich-Smith and then missed the 2014 first-round playoff game vs. Dallas for stomping on Green Bay quarterback Aaron Rodgers’ leg during the 2014 regular season finale. In 2015, Suh will be doing his stomping for the Miami Dolphins. Blake Griffin received a four-game suspension for punching the Clippers' assistant equipment manager Matias Testi (pictured in background). 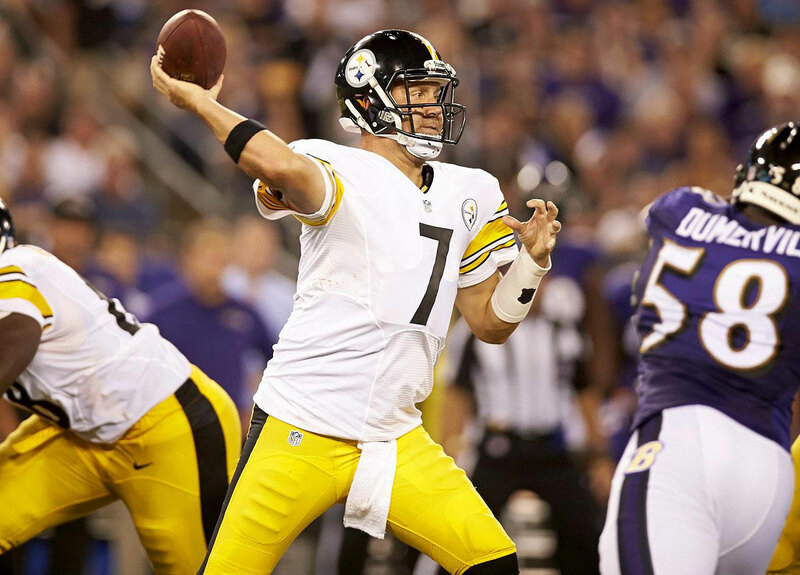 A series of off-field incidents put Big Ben in hot water with NFL and Pittsburgh Steelers officials but an alleged sexual attack on a woman in the restroom of a Georgia nightclub in March 2010 was the last straw. Although no charges were brought, NFL Commissioner Roger Goodell handed Roethlisberger a six-game suspension, later reduced to four, to start the 2010 season. 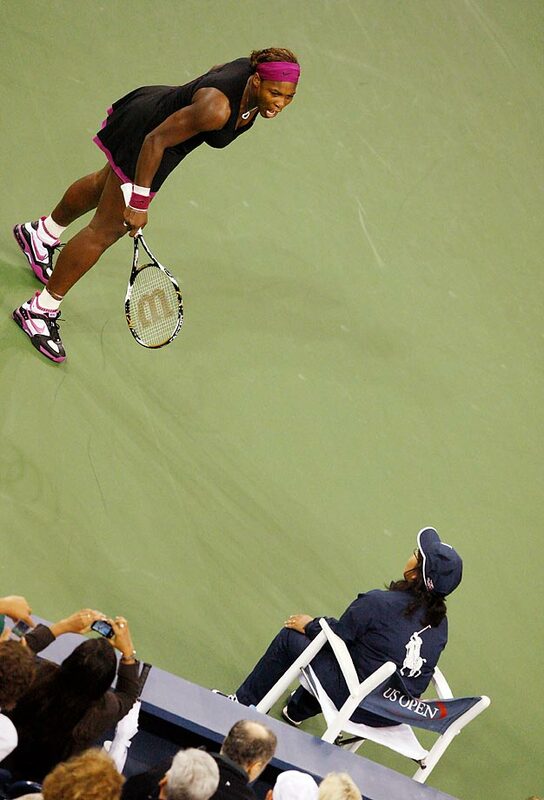 Serena Williams was fined a Grand Slam-record $175,000 (later reduced to $82,500) and given a suspended two-year ban from the U.S. Open after her 2009 tirade at the New York tournament (pictured). She was told that the ban would take effect if she committed any further major offense before the end of 2011. The tennis superstar received a $2,000 fine, but no suspension, for verbally abusing the chair umpire during a loss to Samantha Stouser in the 2011 U.S. Open final. 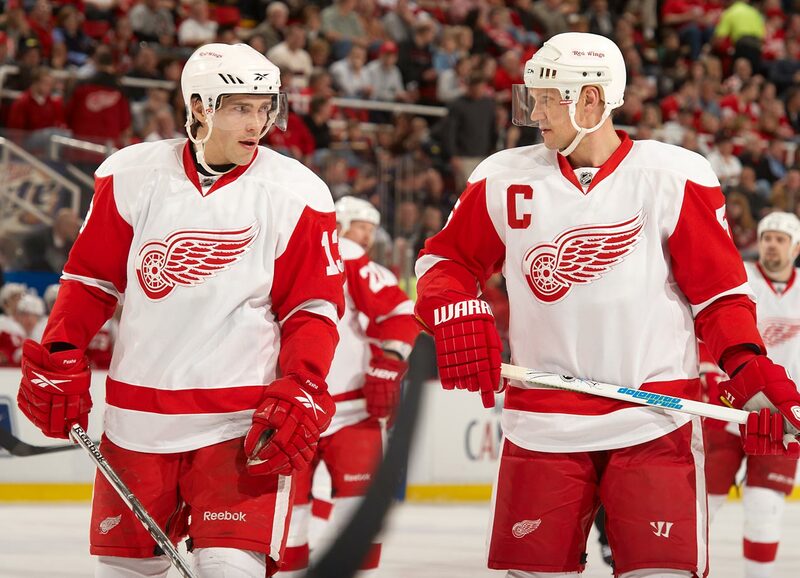 When the Red Wings captain and his teammate Pavel Datsyuk declined to play in the 2009 NHL All-Star Game in Montreal the league suspended them for their team’s next regular season game. 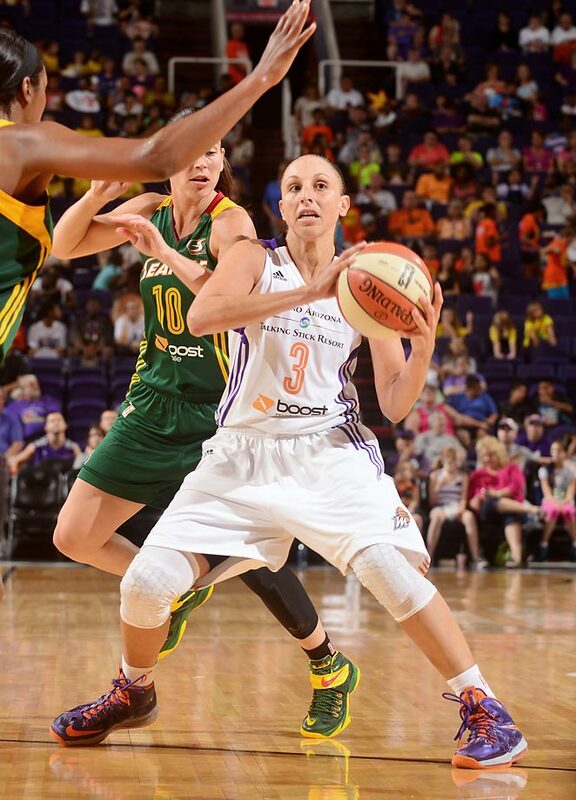 The five-time WNBA scoring champion was suspended for two games witihout pay by the Phoenix Mercury in 2009 on the heels of her arrest on three drunken driving related charges. The All-Star guard received a one-game suspension in July 2013 for an accumulation of technical fouls and another one-game penalty for the same offense later that season. Untoward incidents, including time in jail, driving a golf ball off a beer can and appearing at a Missouri golf event wearing only blue jeans, earned the one-time PGA and British Open champ a six-month suspension from the PGA Tour. 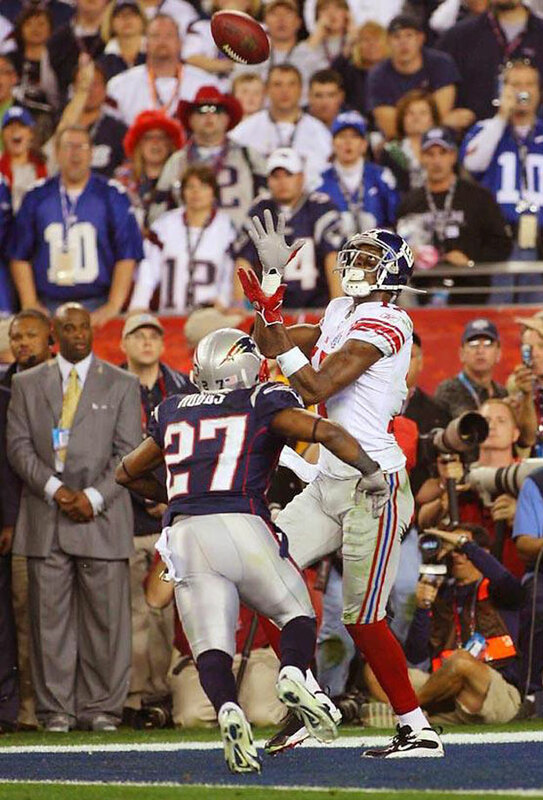 Less than a year after Burress caught the winning touchdown in Super Bowl XLII to stun the unbeaten New England Patriots, the Giants suspended their angular wide receiver for the final four games of the 2008 season and the playoffs after he accidentally shot himself in the leg while at a New York nightclub. The Atlanta Falcons quarterback received an indefinite suspension in 2007 from Commissioner Roger Goodell for his involvement with an illegal dog-fighting ring. 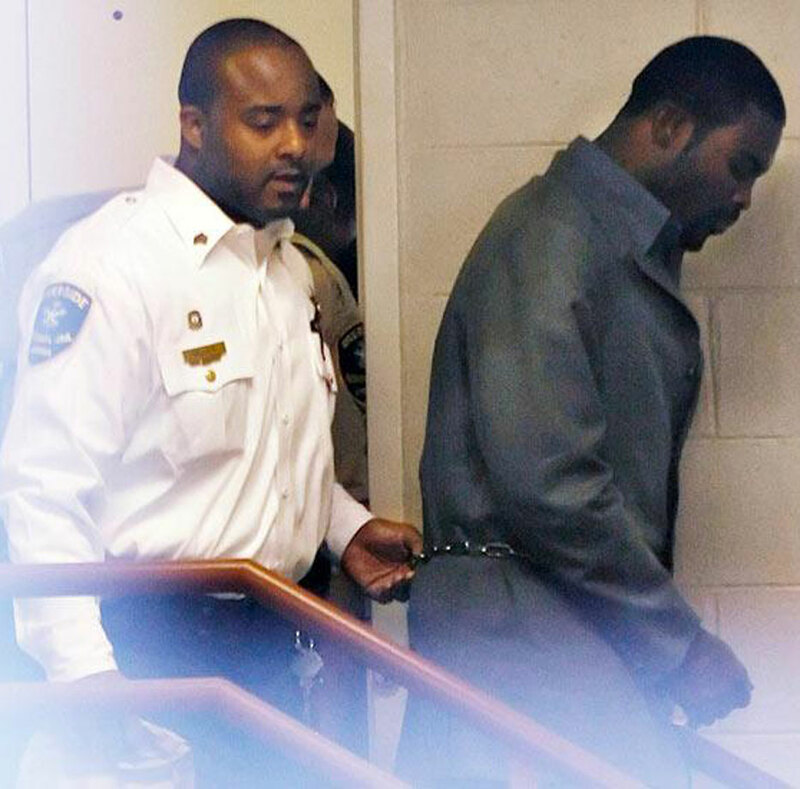 Vick served 19 months in prison and was reinstated by Goodell in 2009. Other than Barry Bonds, perhaps the most famous athlete associated with the BALCO drug scandal was Jones, winner of five track and field medals at the 2000 Sydney Olympics, three of them gold. But after admitting she took performance-enhancing drugs before the Sydney Games—and lying to federal agents—Jones received a two-year ban from competition and a six-month jail sentence. The International Olympic Committee forfeited all Jones’ medals. 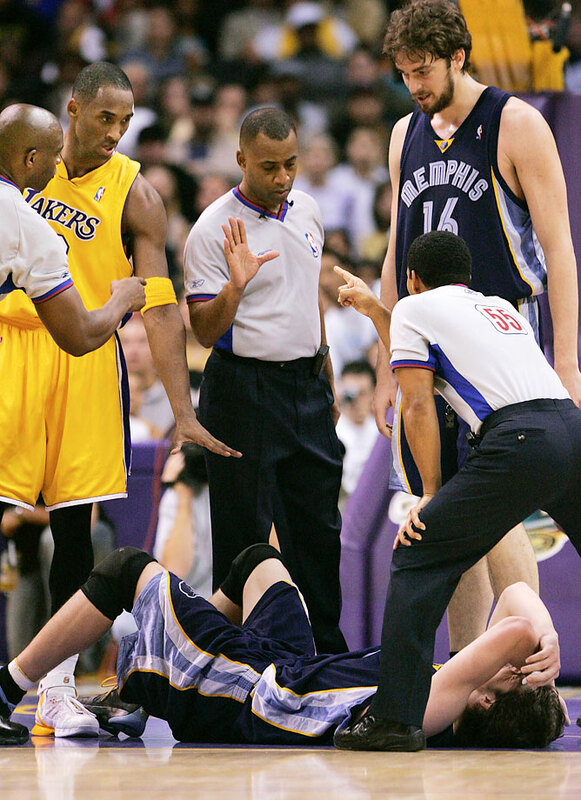 The L.A. Lakers star received a two-game suspension after elbowing the Memphis Grizzlies’ Mike Miller in the throat. One year later he picked up a one-game suspension for another elbow, this time against San Antonio’s Manu Ginobili. 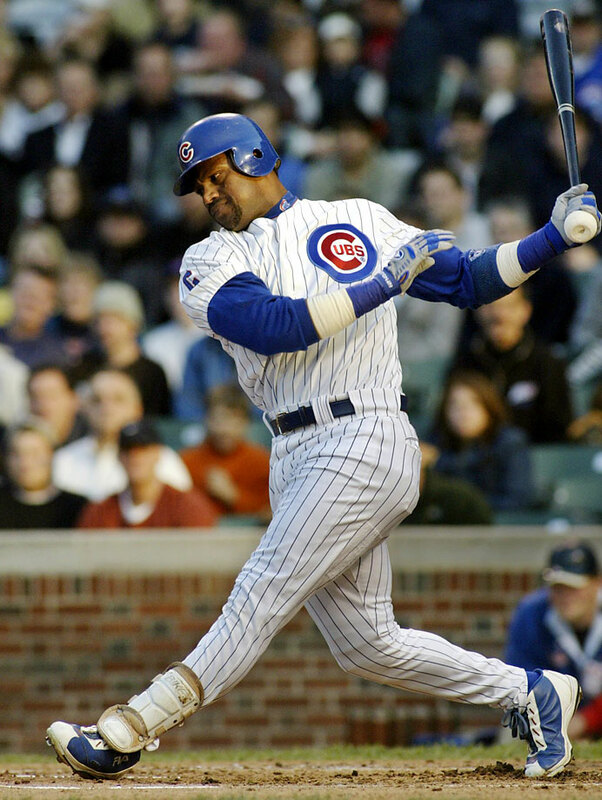 Long before his name was associated with performance-enhancing drugs, the Chicago Cubs slugger received a seven-game suspension for using a corked bat during a during a June 4, 2003, game (pictured) against Tampa Bay. Sosa said the cork was for belting long home runs during batting practice and he had used it by mistake. It was the beginning of the end of his romance with Cubs fans. Winter 2002 might have had Indiana Pacers fans wondering if their sharpshooting guard was a basketball player or boxer. 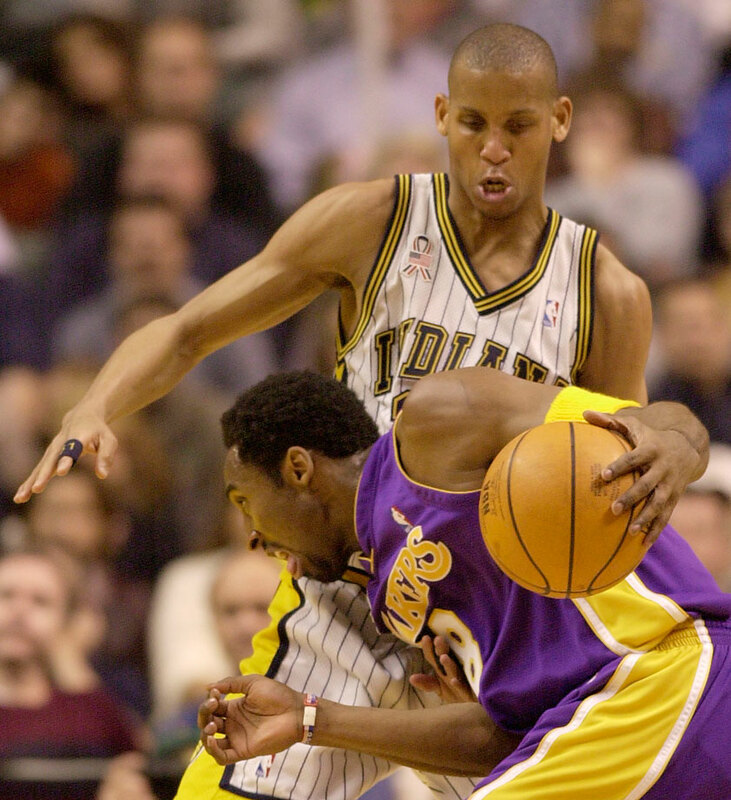 In February, Miller scuffled with Philadelphia’s Derrick Coleman and in March he battled with Kobe Bryant, earning a one-game suspension for the first fight and two-game sit down for the second bout. 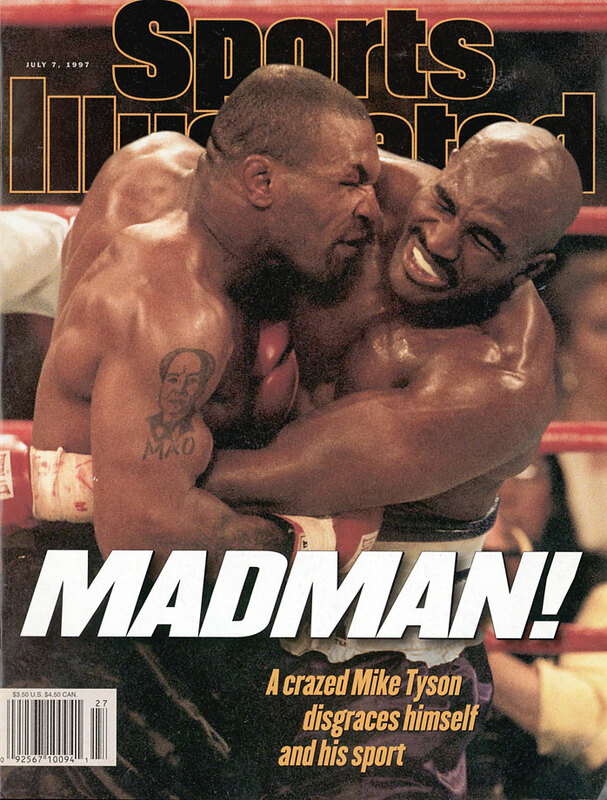 Iron Mike received what amounted to an 18-month suspension after biting Evander Holyfield’s ears not once but twice during their heavyweight championship bout June 28, 1997, in Las Vegas. Tyson returned to the ring in January 1999 but was only a shadow of the fighter who had dominated heavyweights during the late 1980s. A physical altercation with Buffalo News reporter Jim Kelley in May 1997 resulted in the NHL suspending the Sabres’ volatile goalie for the first three games of his playoff series against the Philadelphia Flyers. 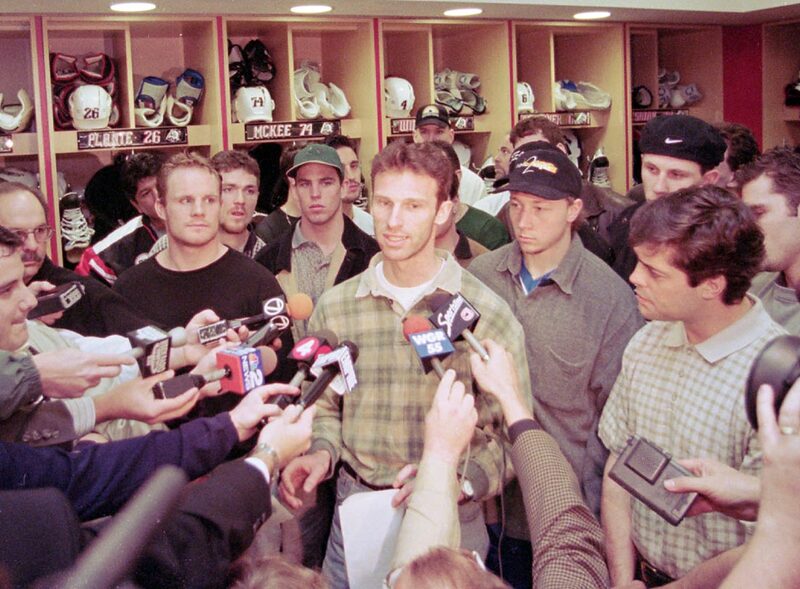 Hasek was also fined $10,000. Jordan received a one-game suspension and $10,000 fine after punching the Indiana Pacers’ Reggie Miller during a February game in Indianapolis. 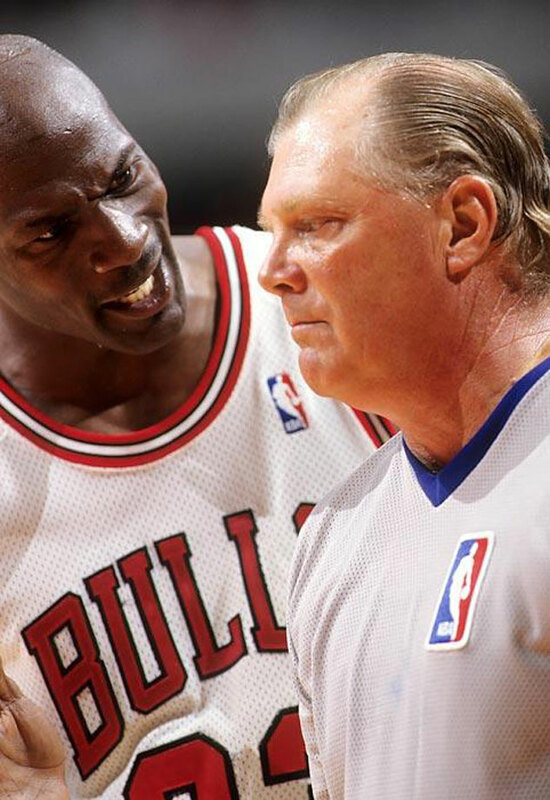 The decision was handed down by NBA discipline chief Rod Thorn, the same man who as a Bulls executive had drafted Jordan out of North Carolina in 1984. 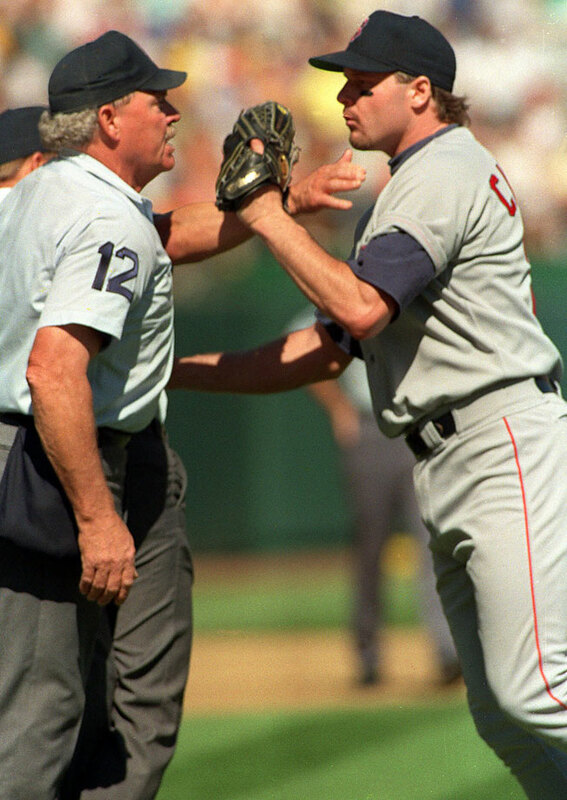 The Boston Red Sox pitcher received a five-game suspension and $10,000 fine for pushing umpire Terry Cooney during Game 4 of the 1990 ALCS against Oakland. The punishment was served the following season. Aroldis Chapman was hit with a 30-game suspension for breaking the MLB's domestic violence policy. He was the first player to be penalized under the league's new rule. 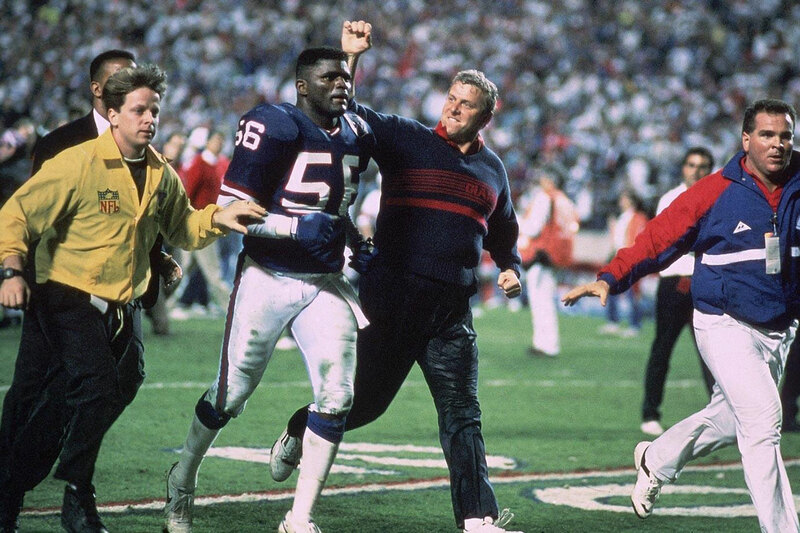 The future New York Giants Hall of Fame linebacker received a 30-day suspension at the start of the 1988 NFL season as a second-time violator of the league’s substance abuse policy. Taylor battled drug addiction both during and after his 13-year career. 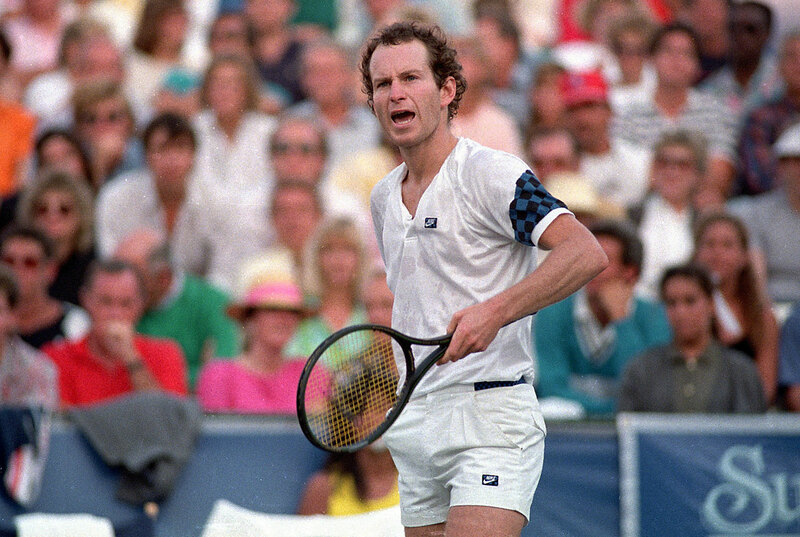 The combative Connors, pictured here making a face at Ivan Lendl in a 1979 match, earned a 10-week suspension and $20,000 fine after he refused to continue play during a match with Lendl at the Lipton International semifinals in Florida in February 1986. Connors was incensed at what he considered a series of wrong calls by the officials. 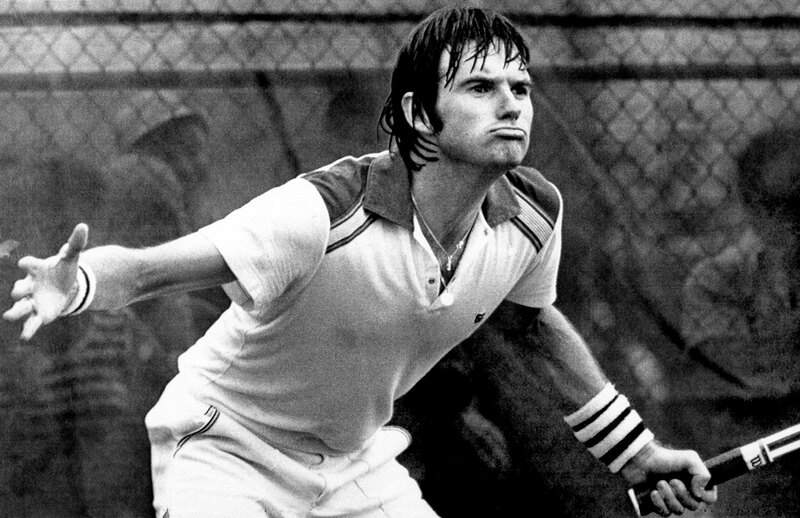 The suspension caused Connors to miss the French Open. Duncan Keith was suspended for six games for high-sticking Charlie Coyle, keeping the star defenseman out of Game 1 of the Blackhawks's conference quarterfinals series against the Blues. 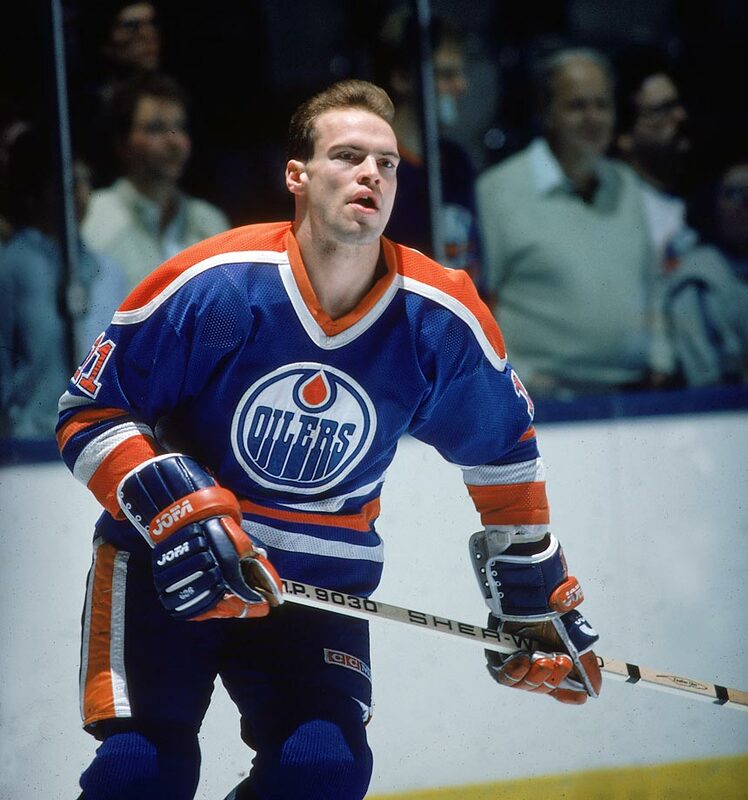 In January 1985, the NHL banned the Oilers star for 10 games for fracturing Jamie Macoun’s cheekbone in two places during a retaliatory attack after the Flames defenseman boarded him. The previous season, Messier had been suspended six games for clubbing Vancouver’s Thomas Gradin in the head with his stick. 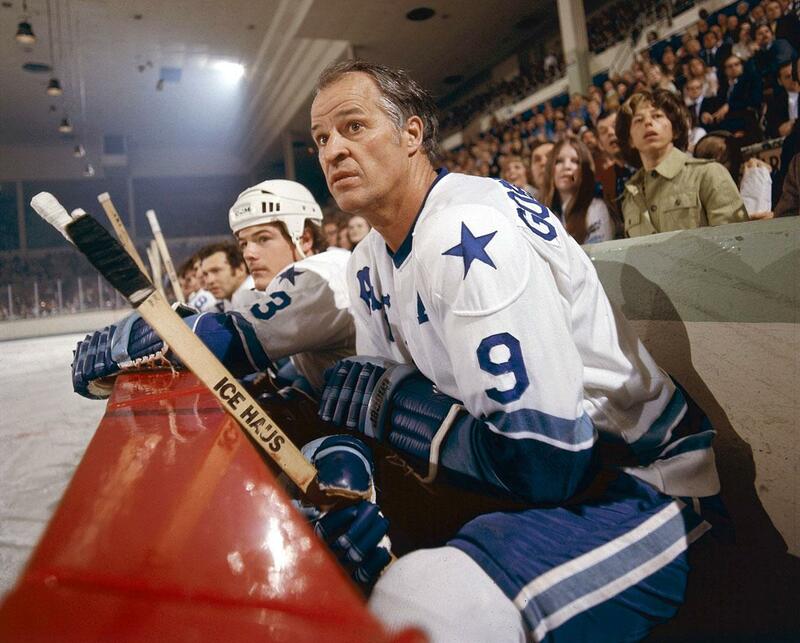 In 1975, being ejected from a game for the first time in his storied career earned Mr. Hockey a one game suspension and $1,000 fine for bumping a referee during a dispute over a penalty call. Howe was skating for the WHA Houston Aeros at the time. 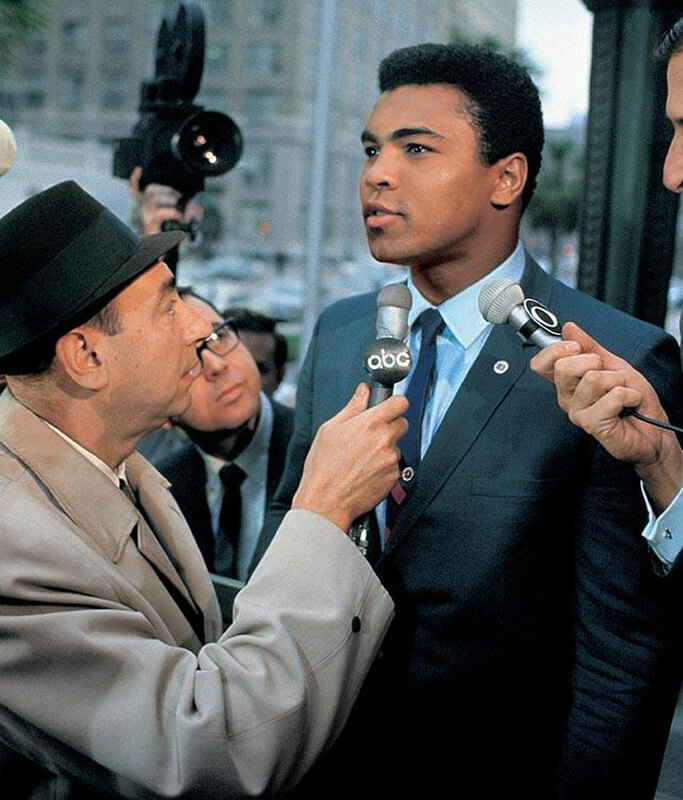 Perhaps no sports suspension was more controversial—or longer—than Ali’s 3½ years away from the ring for refusing induction into the U.S. Armed Forces in spring 1967. The heavyweight champion’s stand, based on his Muslim religious principles, was eventually upheld by the Supreme Court in a unanimous decision but Ali lost prime years of his boxing career. 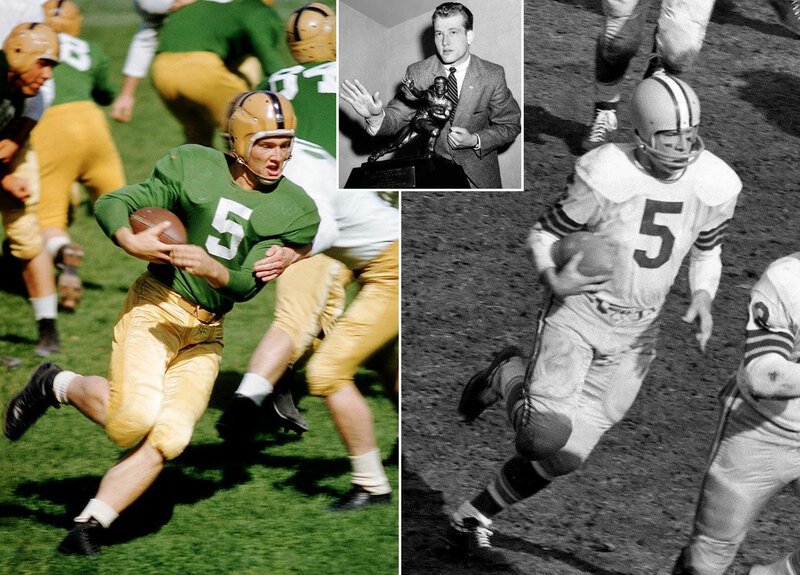 In the early 1960s, no player in the NFL was more glamorous than Hornung, the 1956 Heisman Trophy winner who became the triple-threat running back of the two-time champion Green Bay Packers and the 1961 league MVP. But when Hornung and All-Pro tackle Alex Karras of the Detroit Lions were found to have bet on NFL games, Commissioner Pete Rozelle suspended both players for the entire 1963 season. The Rocket was a god to French-speaking Canadiens. When the Montreal Canadiens star was suspended at the tail end of the 1954 season—and for the entire ’54 playoffs—after knocking out an official during a fight with the Boston Bruins, all of Quebec considered it a miscarriage of justice by Commissioner Clarence Campbell. There was rioting in Montreal, and when Campbell next appeared at the Montreal Forum he was pelted with debris, punched by an incensed fan and serenaded by thousands chanting “A bas Campbell,” (“Down with Campbell”). 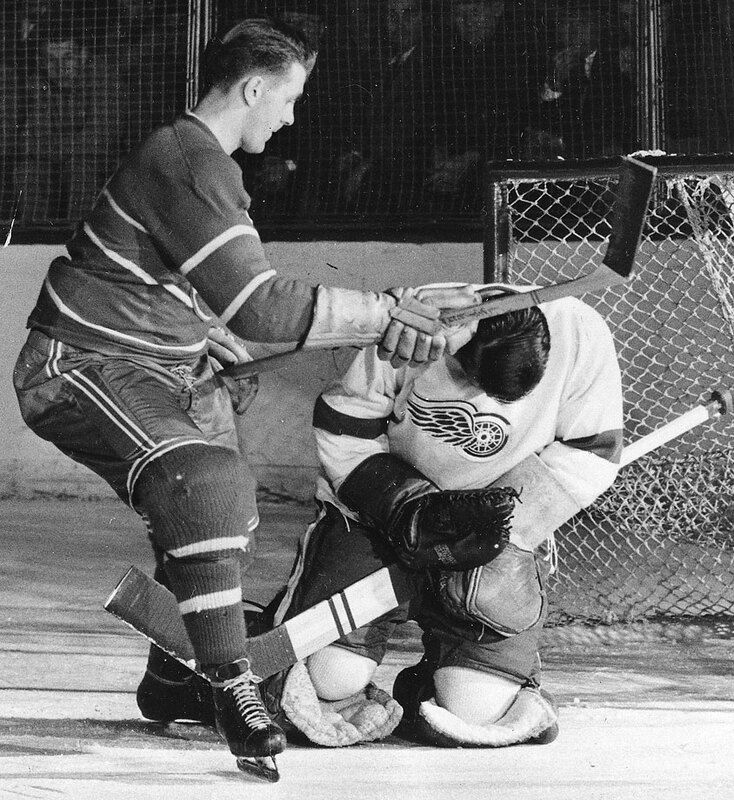 In this picture, Richard is delivering a blow to the head of Detroit goalie Terry Sawchuk in a 1950 game. 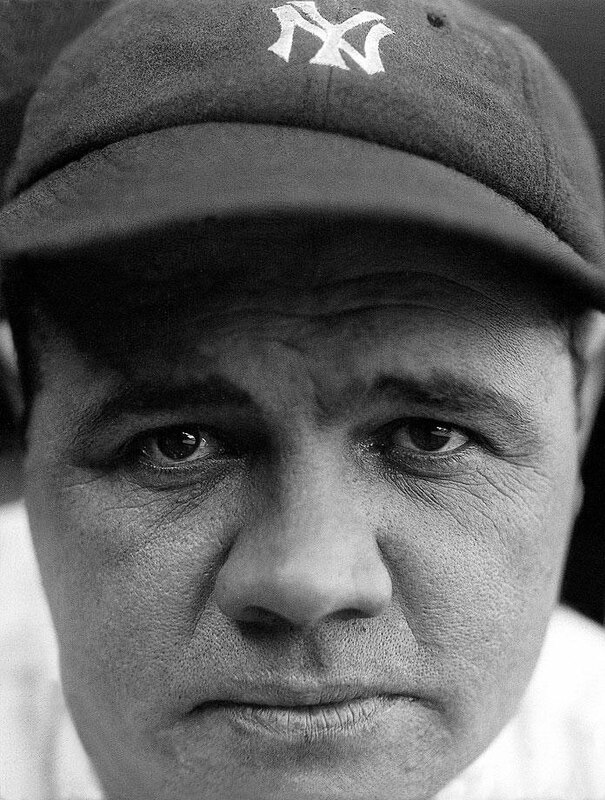 The Bambino was issued many suspensions during his picaresque 22-year career, but the longest was a six-week sit down at the start of the 1922 season ordered by Commissioner Kenesaw Mountain Landis after Ruth and other New York Yankees had participated in an unsanctioned barnstorming tour following the 1921 World Series. The decision helped fortify Landis’ powers as baseball’s first commissioner. The Georgia Peach received an indefinite suspension from American League President Ban Johnson after going into the stands in New York to attack a fan who had been constantly jeering him. It turned out the man had no hands. 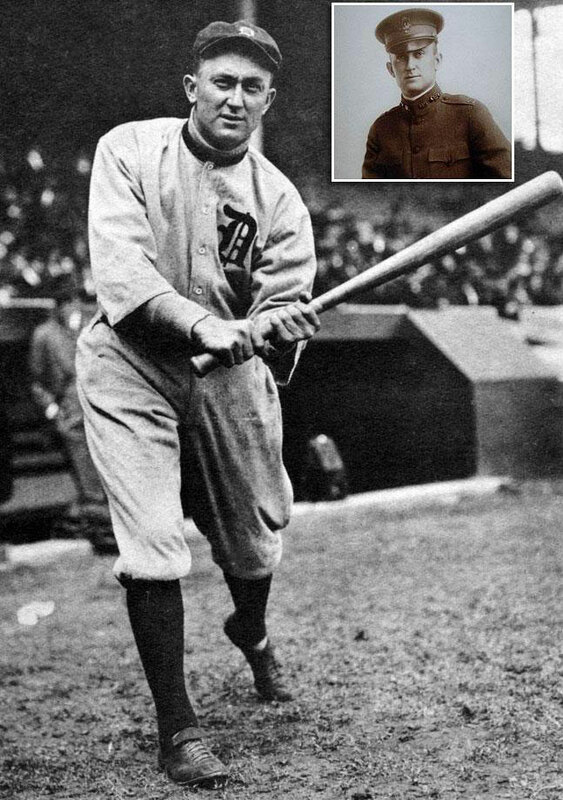 Johnson settled on a 10-game suspension and $50 fine after Cobb’s Detroit Tigers teammates staged a protest strike, resulting in a 24-2 loss to the Philadelphia Athletics when Detroit had to play the game with amateurs. Solo was part of an impressive U.S. defensive display in winning the 2015 World Cup, but her performance in the 2016 Olympics was mixed. She made some huge saves in the U.S.’s 1-0 group-stage victory against France, but Solo’s howler against Colombia cost the U.S. two points in a 2-2 tie. Solo will still play for her NWSL club team, the Seattle Reign.